The Social Day Program helps participants get more enjoyment out of life by providing opportunities to develop and advance daily living and social skills. 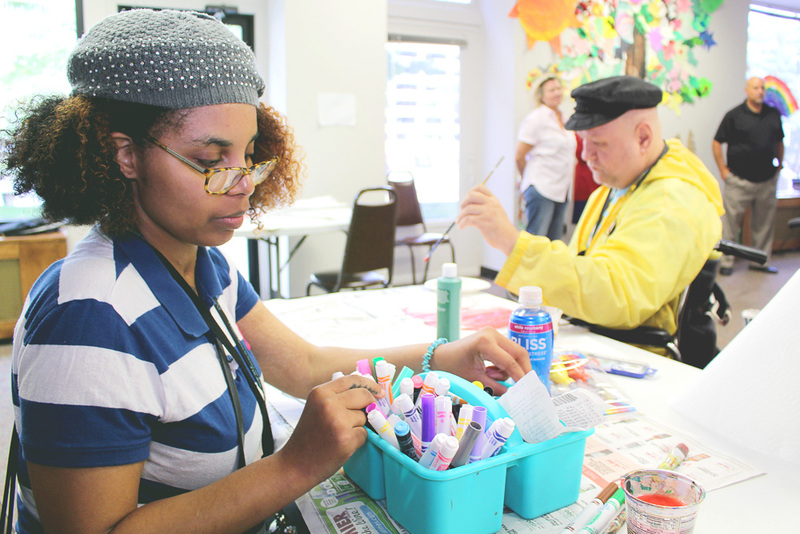 This program allows individuals to get out into their community, with their peers, and encourages socialization, creativity, and learning in a safe environment. Participants have a unique opportunity to be surrounded by their peers – others who understand the unique challenges they’re facing- in a setting where everyone can learn and grow together. Through volunteer work, community events, and recreational outings, they can enjoy making new friends, serving their community, and developing critical life and social skills that make life more rewarding. The Social Day Program is run by staff who have been trained to work with individuals who have suffered a TBI or stroke, or are otherwise in need of an opportunity to participate in social activities. Together, progress is tracked and improvements are celebrated, keeping everyone happier, healthier, and more fulfilled.